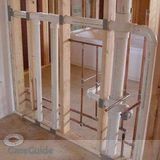 Are you in the market for an experienced and professional plumber in Chicago, Illinois? Are you having difficulty finding a home or business plumber near you? You’ve come to the right place! 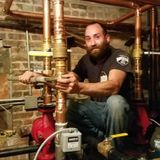 MeetAPlumber.com has an extensive database of professional, qualified plumbers in the Chicago, Illinois area offering affordable commercial, 24/7 emergency, drain repair and all other types of plumbing services. MeetAPlumber.com is powered by CareGuide.com. CareGuide has been featured on Betakit, Techvibes, Mashable and The Huffington Post. 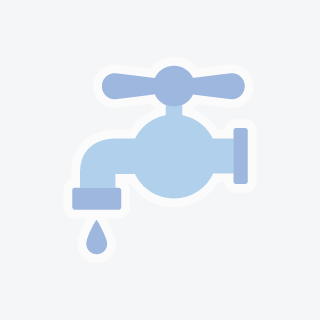 If you have any questions about the hiring process or need help connecting with a plumber you’ve found in our database, our customer team is always ready and available to help. Post your job– your job will be posted to community of Chicago plumbers. This allows you to post once and let the applications to roll in. Our process allows you to connect with Chicago area plumbers through our safe, secure site. Your personal information stays private. Browse our directory – you can also browse our directory of Chicago plumbers below and choose who you would like to contact. You can message the qualified candidates of your choice directly through our site – no need to call or email until you’re ready. Let us help you find the best plumbers Chicago has to offer. Get started today with MeetAPlumber.com! 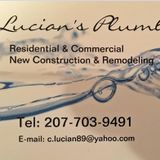 Plumbing, new construction, commercial and residential. Service too. Gas, DWV, Copper. I can do Sewers too.Plumbing, new construction, commercial and residential. Service too. Gas, DWV, Copper. I can do Sewers too.Plumbing, new construction, commercial and residential. Service too. Gas, DWV, Copper. I can do Sewers too. The work we do, turns out real cool.The work we do, turns out real cool.The work we do, turns out real cool.The work we do, turns out real cool. I'm looking for any residential plumbing, weather it's new or not so new. Also some commercial bathrooms.I'm looking for any residential plumbing, weather it's new or not so new. Also some commercial bathrooms.I'm looking for any residential plumbing, weather it's new or not so new. Also some commercial bathrooms. 4 Brothers Sewer And Plumbing Service.4 Brothers Sewer And Plumbing Service.4 Brothers Sewer And Plumbing Service.4 Brothers Sewer And Plumbing Service. 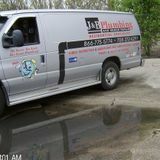 We are a full service plumbing company. 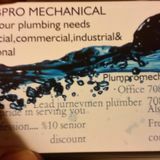 All are plumbers are friendly and professional we look forward to working for you.We are a full service plumbing company. 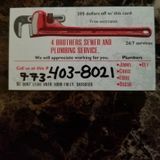 All are plumbers are friendly and professional we look forward to working for you.We are a full service plumbing company. All are plumbers are friendly and professional we look forward to working for you.